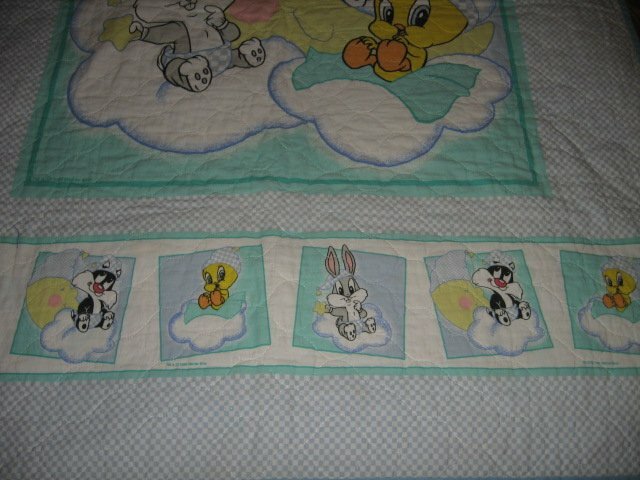 This hand made baby crib quilt has large picture of Baby Tweety, and Bugs and Sylvester on clouds. Gently used. Last one! OUT OF PRINT-HARD TO FIND! 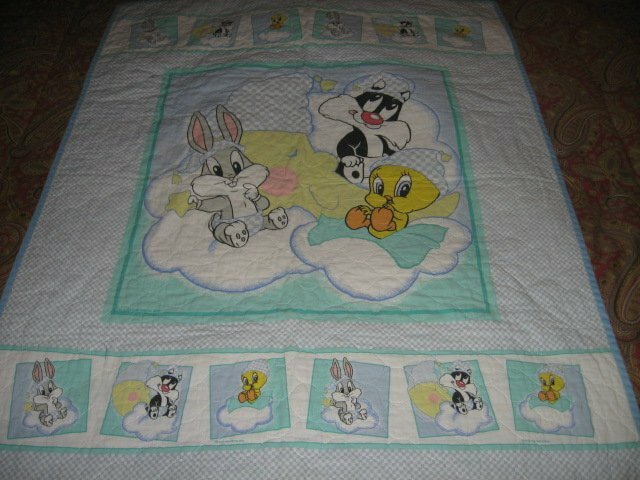 Smoke Free This finished baby quilt cotton. 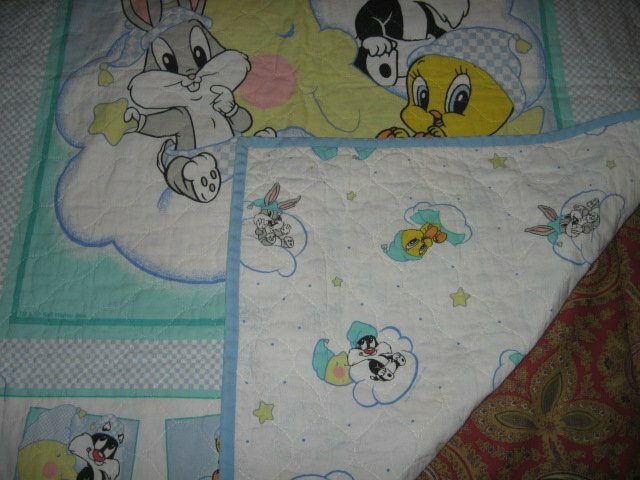 measures approximately 33"X42" . 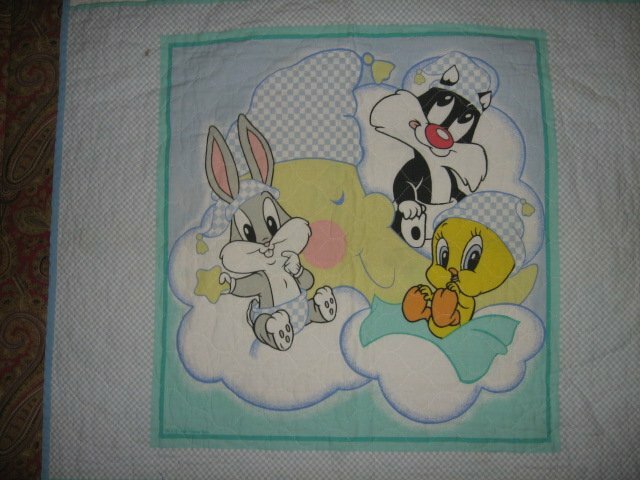 Please check out my dozens of wall panels, and my handmade baby blankets for gift giving.